Why buy a SAORI Loom? 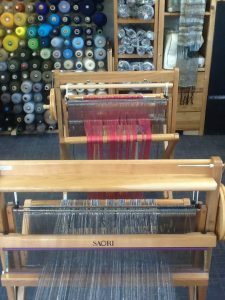 SAORI looms are very compact floor looms with an array of easy-to-use accessories. Available as foldable or small “footprint’ space saving styles, the looms fit into any home. They can be transported and moved around easily but are capable of weaving long lengths suited to clothing and interior textiles similar to much larger looms. Inside Set. By purchasing an extra “Inside Set”, you can remove your work from the loom while still in progress and put another piece of work in its place. Excellent for working on multiple projects and a cost effective way for a groups of weavers to share a loom as each inside set effectively creates another loom. Ready Made Warps. 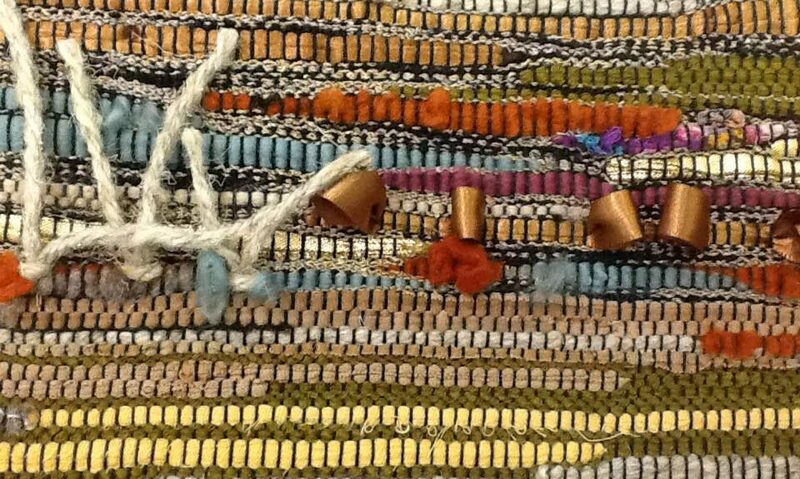 A weaver can skip the warping process, thus making threading easier and less time-consuming. Warping System. A weaver can make their own warp, beam on & thread up at the table, thus making the process more comfortable and less time-consuming. With our busy, rushed lifestyles the SAORI system of weaving lets you spend most of your creative energy at a loom weaving and relaxing, rather than preparing to weave.